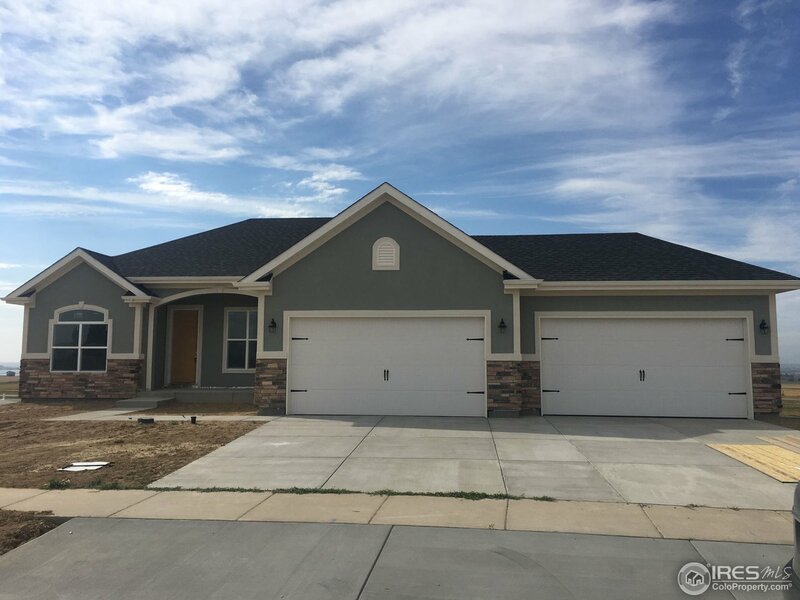 All Severance homes currently listed for sale in Severance as of 04/25/2019 are shown below. You can change the search criteria at any time by pressing the 'Change Search' button below. "Perched on 3.5 acres w/ magnificent mountain views you find this estate in Belmont Farms w/ meticulously designed yet comfortable floor plan w/ stunning ambiance.The extraordinary interiors create a true sense of exquisite taste & classic elegance.6 bed/6 bath,gourmet kitchen w/ Wolf & Zub-Zero appliances,butler's pantry,ample living & entertainment spaces, finished walkout basement,master suite-retreat,home theater,putting green & multiple decks/balconies.Plenty of room to build accessory shop"
"Stunning 5.6 acre estate in Belmont Farms with magnificent mountain views!!! This meticulously designed home features an open floor plan, main floor master, custom alder cabinetry, doors and trim, chefs kitchen, hickory hardwoods, walk in pantry, study. Finished walk out basement with wet bar, great room, private guest/mother in-law suite. 2 outdoor living spaces, fully equipped outdoor kitchen. 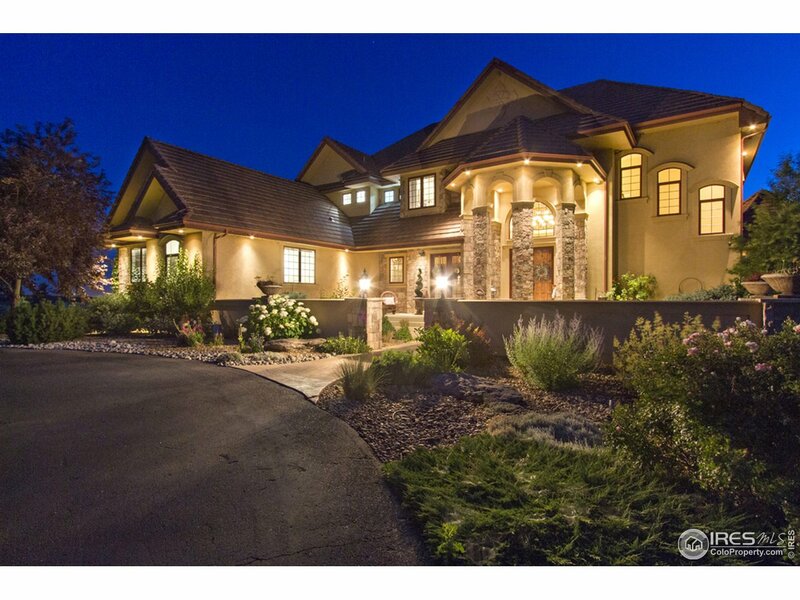 Heated 8 car garage with half bath, R-22 insulation and Andersen windows throughout." 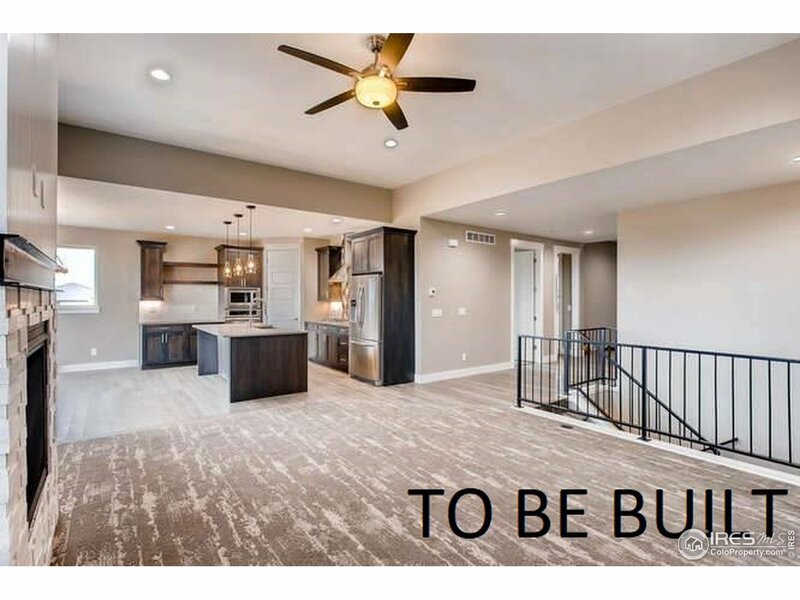 "PRIVATE-VIEWS-OPEN SPACE-2 ACRES-7 GARAGE SPACES-SHOP!-New roof just installed, new basemnt flooring, kitchen & master bath remodel, attached 3-car & detached 4-car (1789 SF) w/shop & 12' door & fully finished 1,013 SF mother-in-law quarters (w/kitchen & bath) above detached, wood beams & floors, farmhouse sink, & office. Basemnt has wet bar w/wine fridge, dishwasher, bar fridge & microwave, rec rm, game or workout rm & spa-like bath. 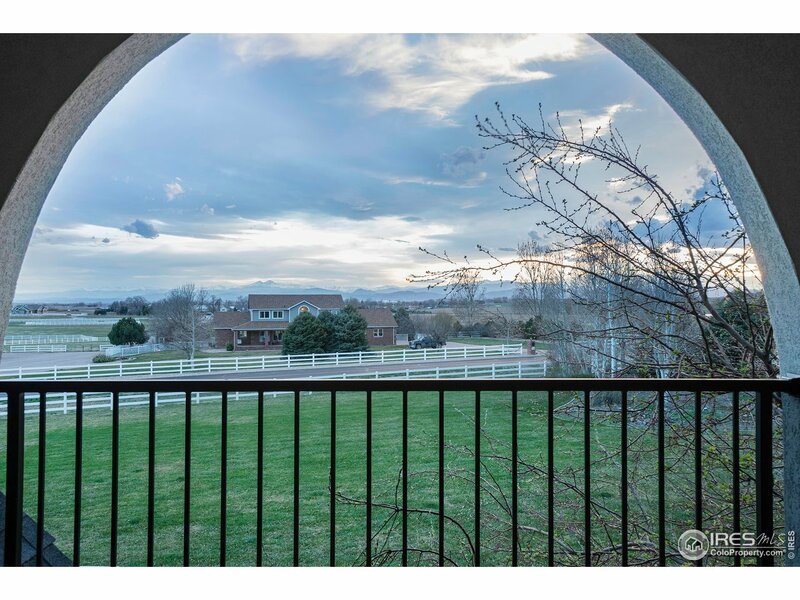 Enjoy the views from the large deck & stamped concrete patio!" "TO-BE-BUILT. 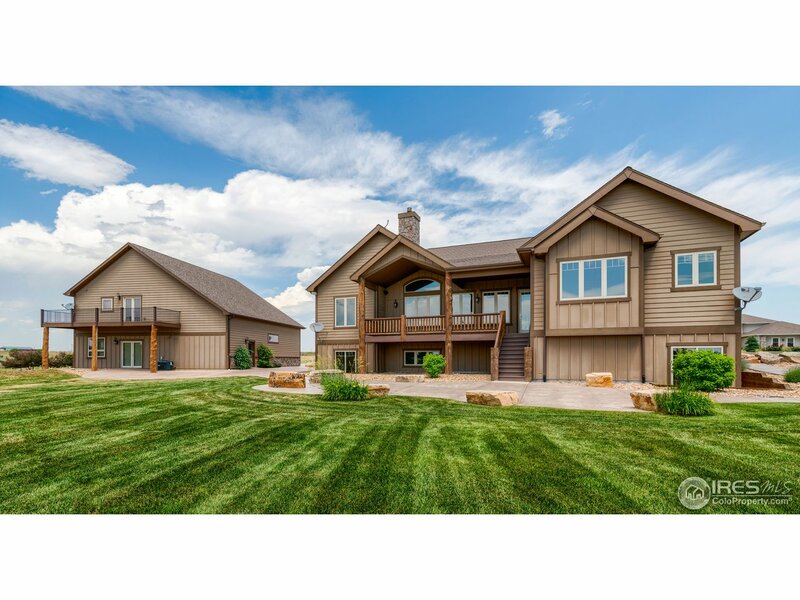 Customize this amazing floor plan on 1/2 acre in Bridle Hill w/breathtaking Eastern views. Easy commute to Windsor, Fort Collins & Greeley. Main level offers a wonderful 14x25 Great Rm, 2-BRs & Kit w/Dbl Ovens, Gas Cooktop, lg Pantry & much more. Up you find BR-3 & a Loft or 4th BR plus a full BA. Walk-Out LL has a finished 17x21 Game Rm w/Wet Bar & full Bath. With those views you may want to expand the Game Rm or add another 2-BRs, Office or Exercise Rm. Fin Garage w/18x50 RV Bay." "NEW CONSTRUCTION & FULLY LANDSCAPED. Quick close possible! 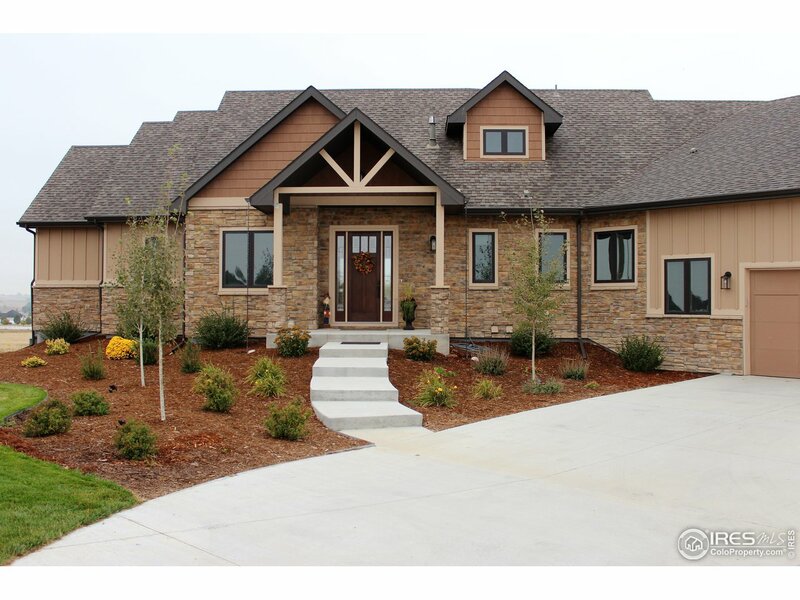 Gorgeous 3-BR contemporary, E-Star rated, ranch on a 1/2 Acre lot w/expansive back deck views. Relax at days end while enjoying a fantastic Colorado sunset from your front porch which is across from open space and the pond. Unfinished Walkout awaits your dream design. Park the RV,Boat or Trailer in 980 SF.Gar w/18'x30'RV Bay/Shop w/12'door. Prefer to be involved w/the design process? We have two 1/2 acre lots avail & one is a walk-out." "Ranch home on 1/2 acre w/walkout & amazing mountain views. 3 bed, 3 full bath, study, formal dining room, mud room, oversized 4 car garage, 11' entry, gas FP, master suite w/ 5 piece bath & huge walk-in. Open floorplan w/ big kitchen island, S/S appliances, granite tops, 42soft close cabinets, hardwood floors, A/C & patio off the kitchen nook. Current price includes $10,000 incentive if you use preferred lender who will also pay up to 1/2% towards closing costs, buy down programs etc." "This fantastic home sits on 1/2 acre lot in Bridle Hill. 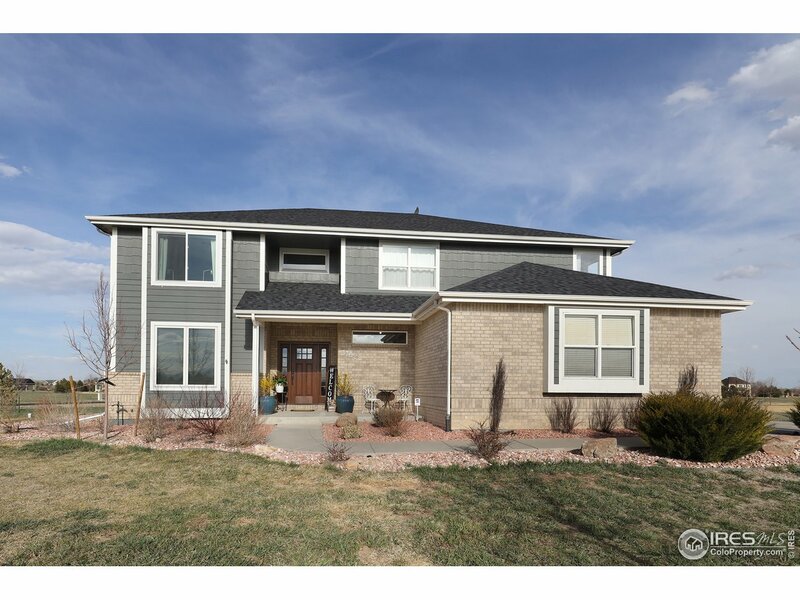 3 bed, dining room, 2.5 bath, oversized 4 car garage, gas fireplace, large master suite w/ 5 piece bath, free standing tub & huge walk-in closet. Open kitchen with island, s/s appliances, granite counter tops w/ full tile backsplash, walkout basement. Current price includes $10,000 incentive if you use preferred lender. Preferred lenders will also pay up to 1/2% towards closing costs, buy down programs etc, ask listing agent!" "Some of the best views in Colorado! Bring your horses! Fabulous master suite with 2 sided fireplace has a sitting room/office that will become your favorite room in the house. Main floor has a beautiful entry, a formal living room, family room with FP, formal dining, kitchen and breakfast nook. Upstairs there are three bedrooms and a study. The basement has a rec room wired for surround sound, an additional bedroom and two large storage rooms. Producing fruit trees. Large patio plumbed with gas." "TO-BE-BUILT w/Guaranteed Awe Factor. The Buckeye: A contemporary, mid-century modern inspired, E-Star rated home on 1/2 AC in Bridle Hill. Fantastically designed Ranch w/3 BR plus office. Entertain w/ease in this open floor plan and at days end enjoy the sunset views from the covered back porch. Master BR retreat w/vaulted ceiling, walk-in closet & luxury Bath. Prefinished wood flooring in Kit, DR, Great Rm. Full tile backsplash in Kit and tub & shower surrounds are tiled to ceiling. 4-Car Gar." "TO BE BUILT!! 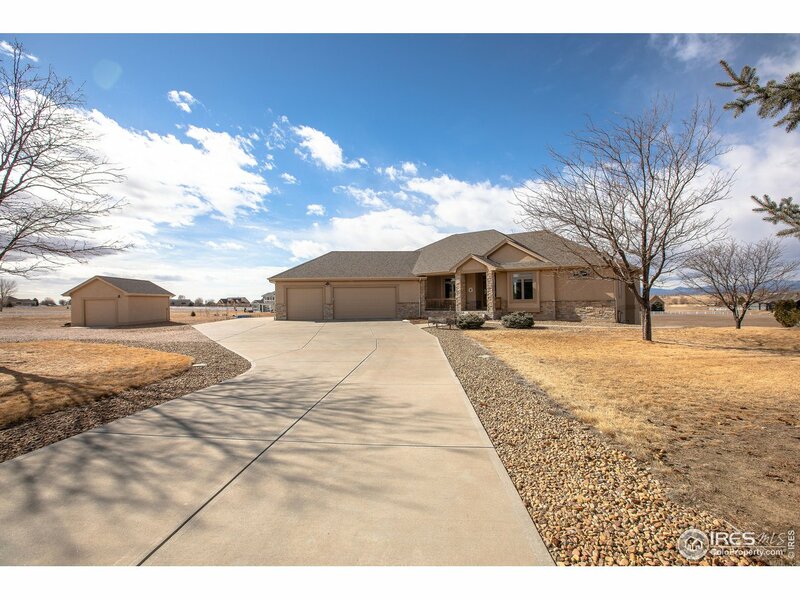 Beautiful quality custom built ranch-style home backing up to permanent open space. High end finishes throughout - granite countertops, woods floors, stone gas fireplace with mantle, barn door in master, large kitchen island and stainless appliances. Contemporary/modern style with a rustic twist. Enjoy quiet country living on your paitio with a water view. Buyer has option to pick out finishes & paint, depending on time of contract. Estimated completion date June 2019." "Wonderful custom home w/main level Study or Guest BR, Butler's Pantry & loads of Kit cabinets w/oversized 4-Car Garage w/RV Bay on a fantastic 1/3 acre Tailholt lot. 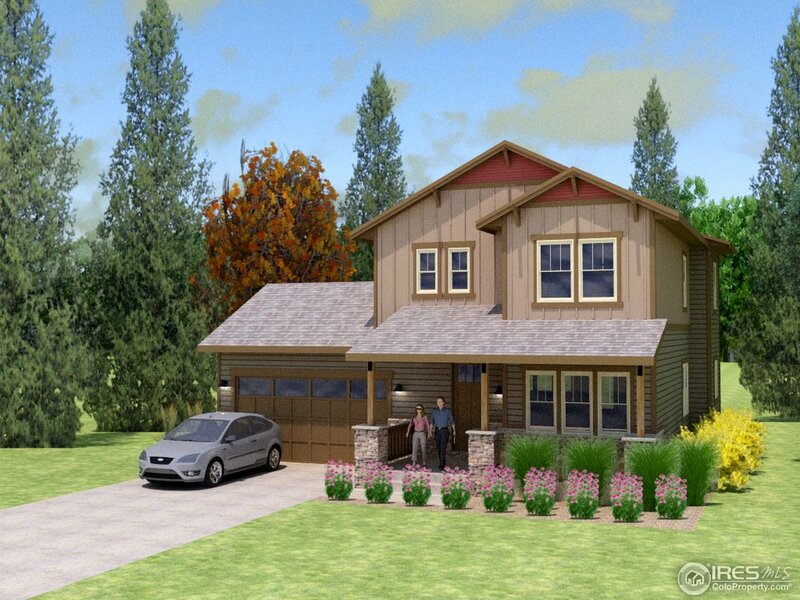 Build this model or choose from other amazing plans, then when visiting the vendors, customize your home to your heart's content. Bluestone aims to please and gives generous finish budgets for lighting, flooring, countertops, cabinets, plumbing fixtures, exterior stone or brick & more. 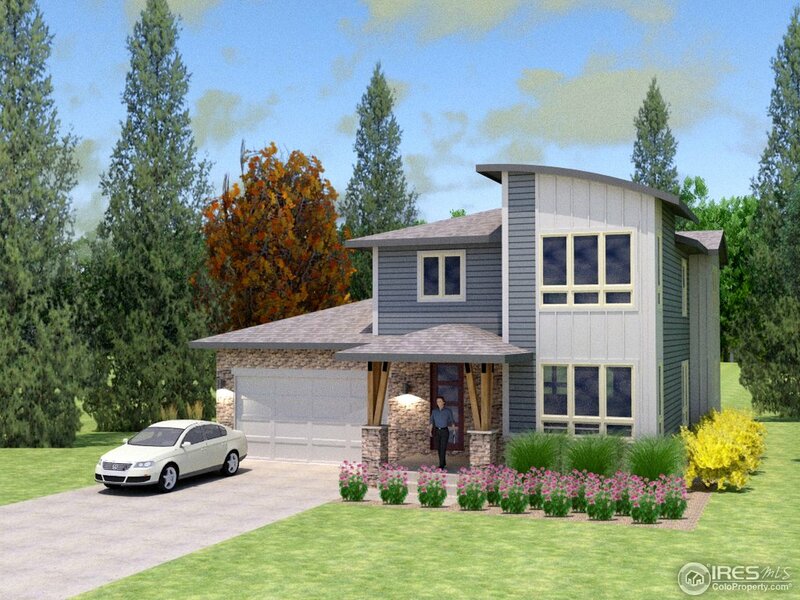 Also building in Bridle Hill on 1-3 acre lots." "TO BE BUILT. Wonderful custom home w/loads of Kit cabinets and 1,318 Sq Ft 5-Car Garage w/RV Bay on a fantastic over 1/3 acre Tailholt lot. Build this model or choose from other amazing plans, then when visiting the vendors, customize your home to your heart's content. Bluestone aims to please and gives generous finish budgets for lighting, flooring, countertops, cabinets, plumbing fixtures, exterior stone or brick & more. Also building in Bridle Hill on 1-3 acre lots." "Open Sat, 4/27 from 12:00-3:00. 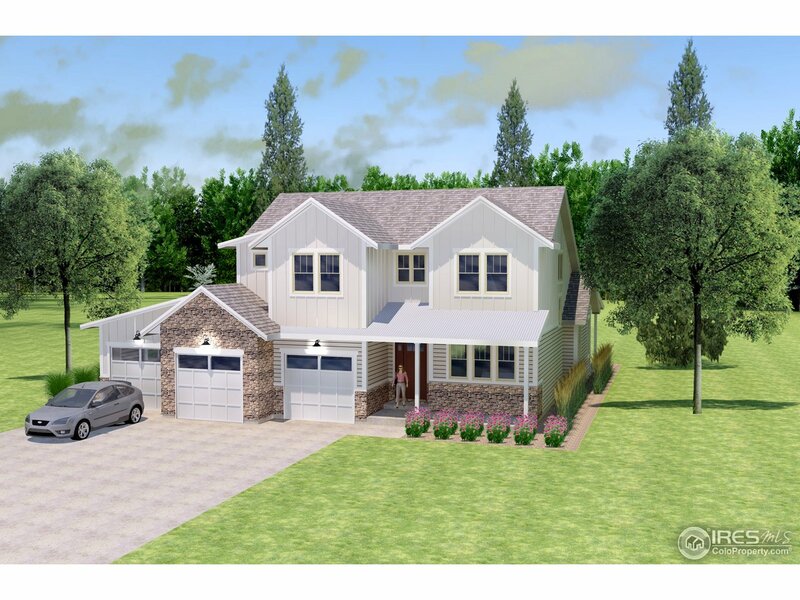 Awesome 4,000 Sq.Ft Bluestone plan w/amazing 4-car Gar, full unfin Basement on 1/3 acre w/lake views! Winner of 2017 Home Builder Association Best Architectural Exterior Design, Bluestone offers interesting designs w/excellent quality of build & finishes. 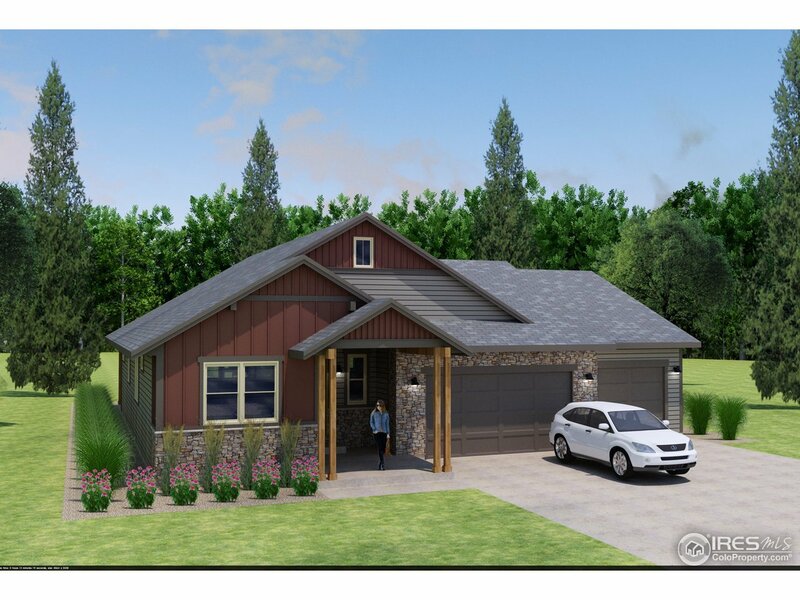 Purchase this home or commission Bluestone to design & build on another of our Tailholt lots then Contact Cindy Wallace w/US Bank & w/10% down & no MI, Builder will give $8,000 price discount or $8k in upgrades!" 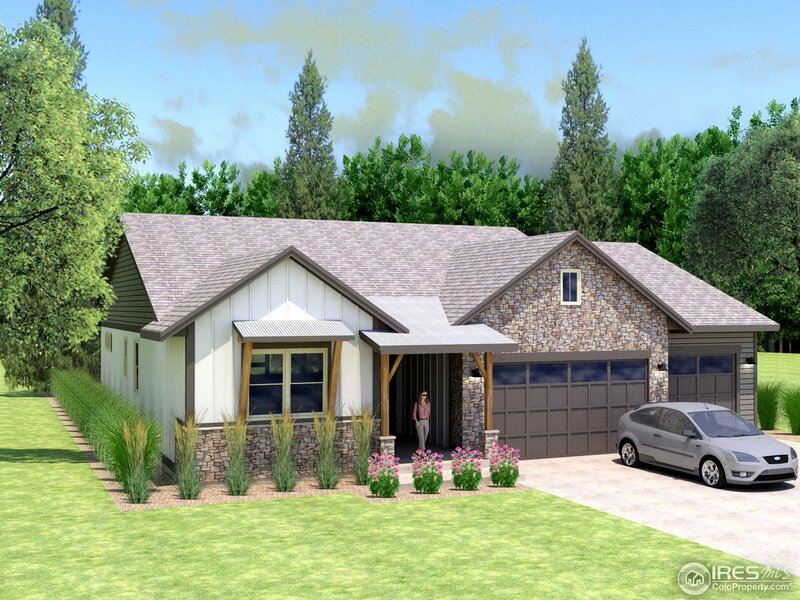 "Fantastic floor plan with a main level Living Rm & Great Rm, along with an option for making that Half Bath into a 3/4 BA and adding a Guest Room. 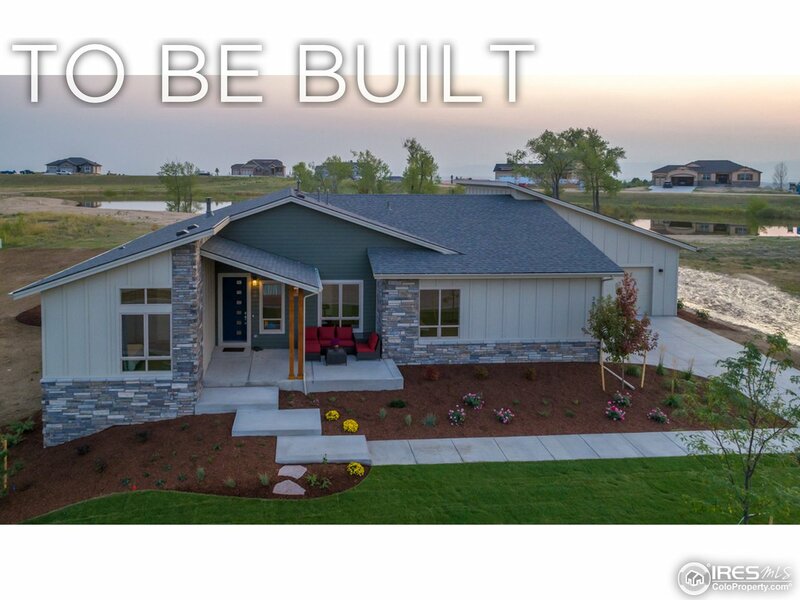 Up is the MBR w/walk-in closet and a few options to choose for your Master Bath plus you'll find another two Bedrooms or one Bedroom and a Loft. Finish the basement for another 1110 Sq Ft of living space by adding a Rec Room, Bath and Bedroom. 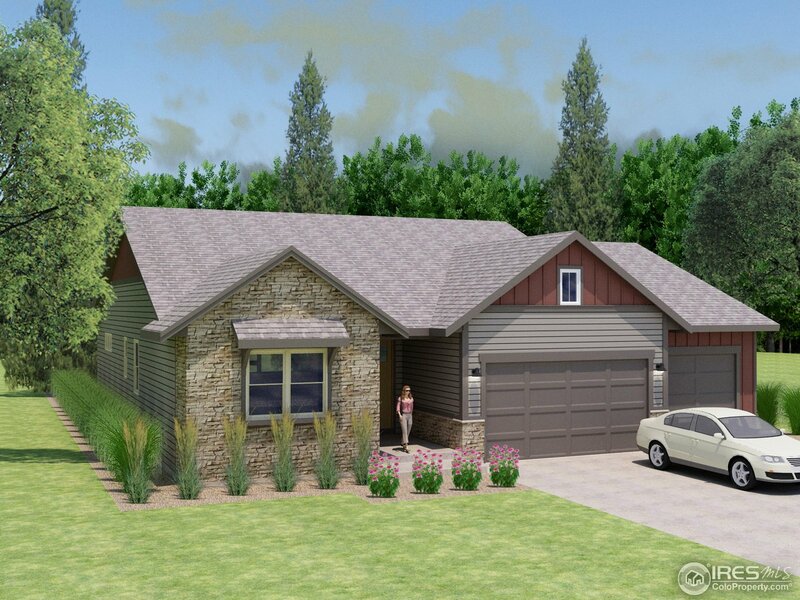 Expand the 3-Car 828 Sq Ft Gar to a 5-Car with 1,332 Sq Ft. Tell us your new home dreams, we aim to please." "Welcome to the Bellflower, a spacious & open main level 2-Story w/a 19x20 Great Rm w/fireplace & a kitchen w/a huge center island & expansive cabinetry. Upgrade the Study to a BR & the half BA could easily accommodate a shower if you would like. The 860 SF Tandem 3-Car Gar has lots of room for cars, toys or workshop. Upstairs is a huge MBR & 3 more BRs or 2-BRs plus Loft. Opt Basement finish adds another 966 SF of living space. Reserve your favorite lot today & choose a plan. This will be fun!" "TO BE BUILT. 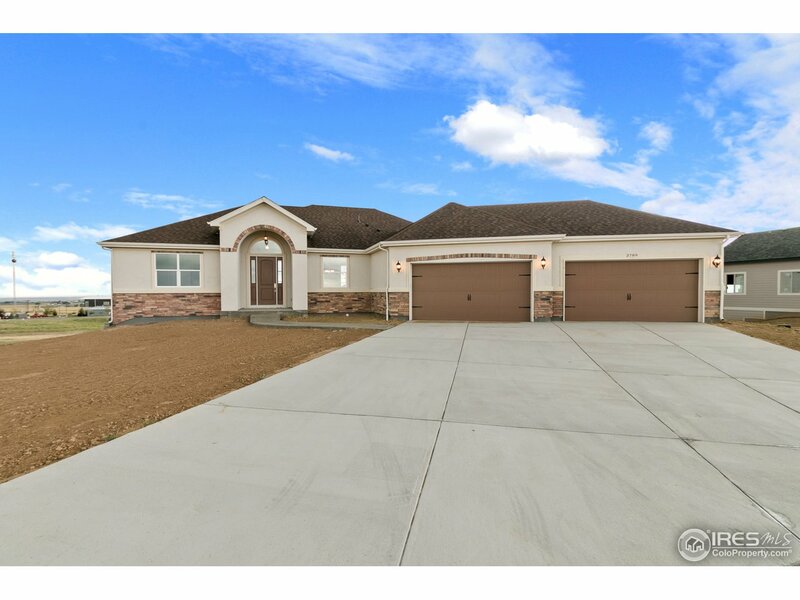 Call to discuss this 4,000 Sq Ft Ranch w/amazing, fin, insulated 4-car Gar, full unfin Bsmnt on a large estate lot! Bluestone Homes, winner of 2017 Home Builder Association's Best Architectural Exterior Design, offers interesting homes w/excellent quality of build & generous finish budgets. More lots & plans to choose from. Photos of previously built model. Minutes to proposed $225M Sports Park, I-25, Fort Collins shopping, restaurants & Old Town." "Build your dream home in Tailholt on a Bluestone estate lot w/lake views. The Gunnison is a fantastic 3-BR Ranch offering an open concept Kitchen, Dining & Great Room, ample size Bedrooms & wonderful upgrades including LVP flooring, Granite, SS Appliances, A/C, 9' Basement Walls & finished 4-Car Garage! 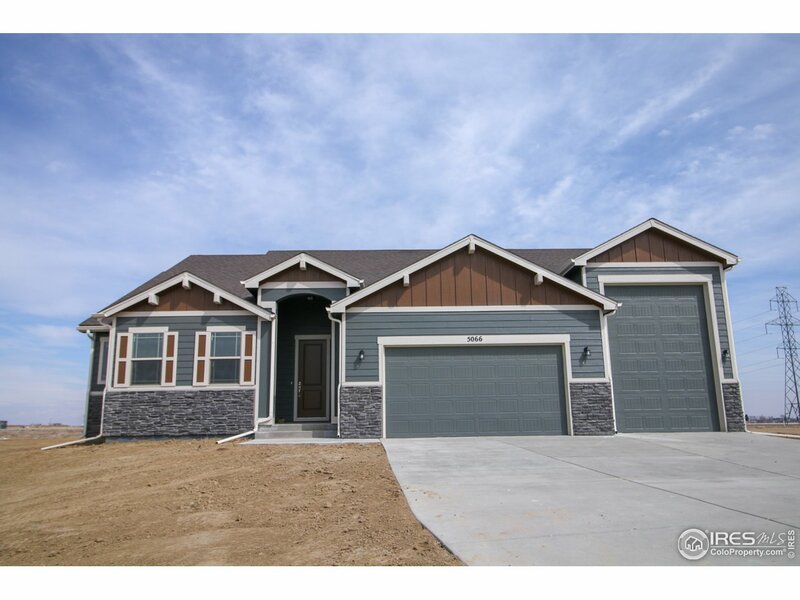 Photos of previously built model w/opt fin basement, fireplace & painted cabinets. Minutes to proposed $225M Sports Park, I-25, Costco, Walmart, FC shopping centers & Old Town restaurants." "To Be Built. 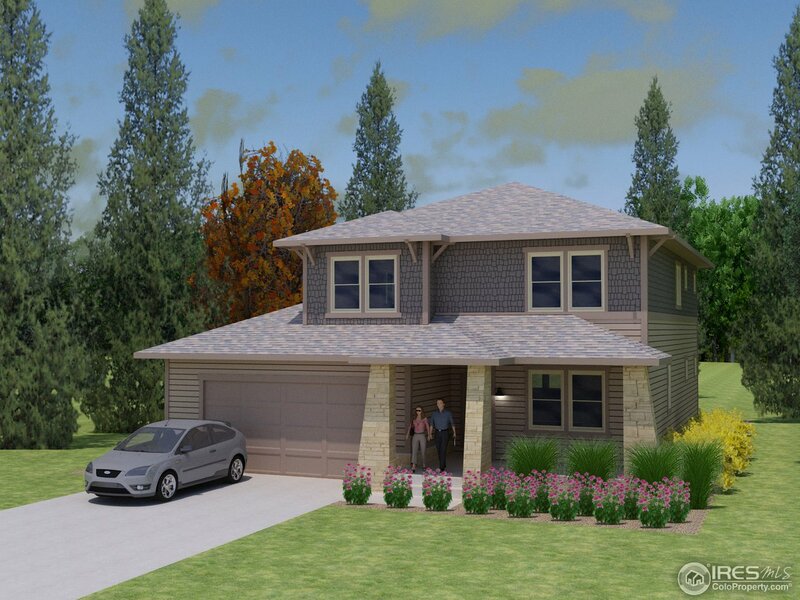 Call to discuss this 3,700 Sq Ft plan w/amazing, insulated 4-car Gar, full unfin Bsmnt on a large estate lot w/lake views! Winner of 2017 Home Builder's Association Best Arch Exterior Design, Bluestone offers interesting designs w/excellent quality of build & generous finish budgets. More lots & plans to choose from. Photos of previously built, smaller model w/opt fin Bsmnt & painted cabinets. Min to proposed $225M Sports Park, I-25, Costco, Walmart, FC shopping & Old Town."